If you are looking for a place for a family picnic or to just hang out, the Veterans Oasis Park that sits on 113 acres may be your answer. There are over 4 miles of biking and hiking trails, ramadas and picnic areas, and equestrian trails. Among the many activities, the 5 acre urban fishing lake is stocked with trout, bluegill, catfish, large mouth bass and other types of fish, is next to the Environmental Education Center. Arizona’s Urban Fishing Program is nationally recognized as one of the best in the nation. Another feature of the park is the 78 acres of wetlands, riparian, and ground water recharge basins. You’ll also feel safe because a Chandler Police Substation also shares the a portion of the 113 acre park. The Environmental Education Center is one of the important elements in the$23 million Veterans Oasis Park community facility which opened in April 2008. It provides an entertaining way for the children and adults to learn about the environment. Chandler Community Services is constantly advertising classes and programs being offered at the center through it’s Break Time publication. Recent classes have included star parties and Breakfast with Snakes, or youth may learn about Arizona wildlife by attending the Animal Camp, or participate in Desert Safety for Kids. It is best to call 480-782-2890 each week to find out the current classes being offered. Kids of all ages will enjoy the reptile exhibit on display. The center focuses on education and actives that help the participants learn about desert wildlife and conservation, and enjoying the desert. One area of the park that I believe should be highlighted even more is the 78 acres of riparian habitat, wetlands and recharage basins. Most valley residents are unaware of the effort and planning that goes into managing our water supply. In 2008, the Veterans Oasis Park received the 2008 Environmental Excellence Award for Parks – Site Development and Landscape. To maintain groundwater levels, reclaimed water is introduced back into the aquifers through recharge basins. Veterans Oasis Park has 5 of such basins. Recharged water is recovered from the aquifer and used for the fishing lake. Such efforts have been paying off. According to the City of Chandler website ground water levels have been rising since 1980. When reclaimed water is not be recharged into to the aquifers, it is put to other uses such as irrigation of non-edible crops, parks, golf courses common areas and stored in decorative lakes through out the community. This volume can be substantial in that during 2003, Chandler reused 5.2 billion gallons of reclaimed water for such purposes. In addition, 2.3 billion gallons was recharged into an underground recharge site. Whenever you see a purple landscape or water cover, you can be sure reclaimed water is being used and potable drinking water is being conserved! It is convenient to many Chandler c0mmunities. 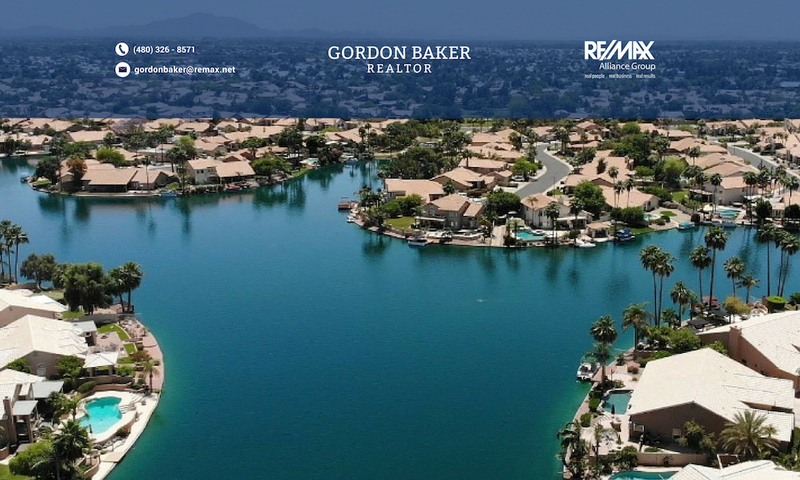 Pinelake Estates is less than 4 miles to the west, Lagos Vistoso is about 5 miles away, and Ocotillo Lakes is 7 miles away. Satellite view of Veterans Oasis Park, located at the northeast corner of Lindsay and Chandler Heights, is about 3.5 miles south to the 202 loop.